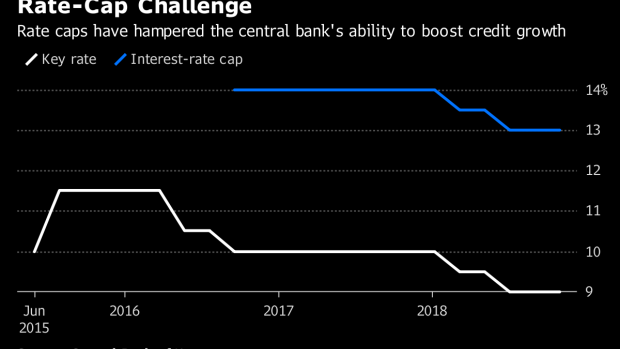 (Bloomberg) -- Africa’s key central banks are expected to hold benchmark interest rates at their first meetings of the year -- albeit for different reasons. MPC members have signaled a more hawkish tone and say that inflation, which is outside the target range of 6 percent to 9 percent, could accelerate as the government deregulates the fuel industry and introduces a minimum wage. The central bank may raise its rate later this year and will do what it can to protect the naira, said Omotola Abimbola, an analyst at Ecobank Transnational Inc.
--With assistance from Solape Renner, Adelaide Changole and Ekow Dontoh.